It’s time for our annual Top 10 Fittest lists! This year, our list has 5 men who didn’t make the list last year… keep reading to find out who! Samir Becic and the Health Fitness Revolution team is bringing your our list of the 10 Fittest Hollywood Actors. These celebrities are household names and we chose them in order to motivate everyone to be healthier, fitter, and more balanced. We chose them based on their fitness levels and body type – we recognize that not everyone is built the same with regards to their heritage and cultural background. We made sure that all of them use natural means to be healthy and fit! For his James Bond role Daniel Craig gave up smoking. He was allowed to drink, but only on Friday nights and Saturdays. According to Men’s Health, Daniel would do weight training Monday through Friday, and then some light cardio and stretching on Saturday and Sunday. He went from a role in The Machinist where he had to drop from 180 pounds to about 120 pounds. 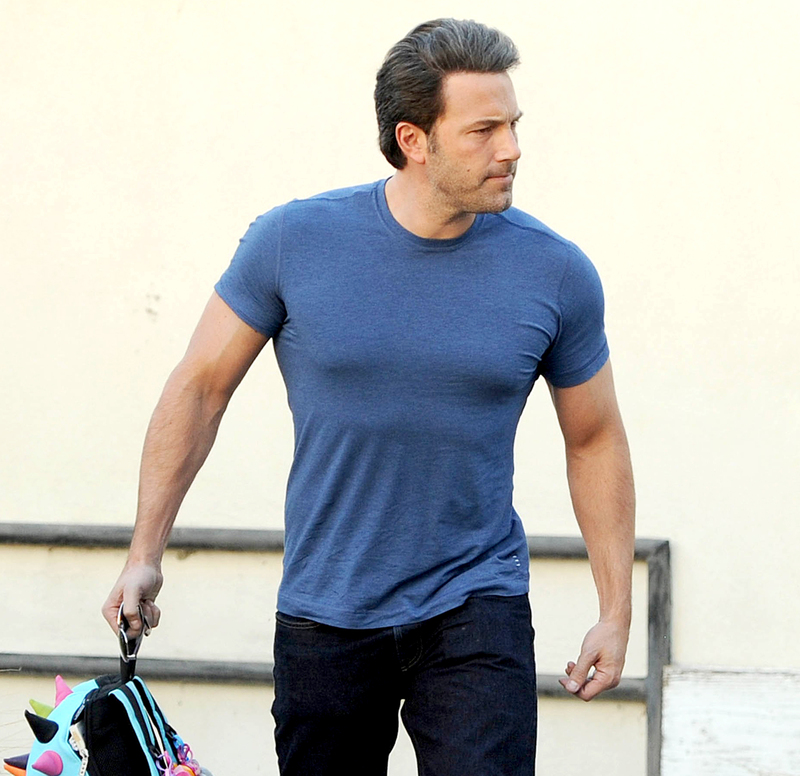 Then he bulked back up to 220 pounds for his role as Batman. To add muscle after depleting himself physically for The Machinist, Bale had to kick-start his metabolism, which had been destroyed after starving himself. He used intense weight workouts, resistance weight training and plyometric circuit training, adding in martial arts training and lots of sprints, lunges, squats, chin-ups and high pulls. An avid runner, Bale openly admits to his running being the best cure for a hangover. First and foremost, the diet has to be on the ball. 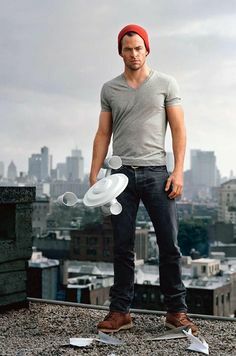 Getting in the meals every 2-3 hours is a must for any superhero in the making, and as we have seen in the past, Bale is not shy when it comes to the physical demands of preparing for a role. Has also said: Working out is incredibly boring. I swear it’s true that the bigger your muscles get, the fewer brain cells you have.” Nonetheless, he works out all the time and is among the best paid actors in Hollywood. Pine does two opposite but mutually strengthening activities, yoga and boxing. This ensures he always stays close to his fighting weight. Chris Pine’s latest workout involved a lot more outdoor cardiovascular exercise, namely jogging and hiking. This kind of cardio is a great way to challenge your variable heart capacity and burn a ton of calories and fat. Has said for the last Star Trek he wanted to be a bit bigger and chunkier. He ate al lot and worked out religiously. Combined yoga, boxing, circuit training, and weight lifting. Training for the movie Pain & Gain, Mark Wahlberg said he went back to his old-school movie workouts. But, he did less cardio, and ate more. He workouts 5 days a week and takes Wednesdays and Sundays off. Mark Wahlberg admits that he makes most of his workouts up himself and relies on past supersets that did the job. Mark often begins his workouts very early in the morning followed by a “growth nap” before doing some light cardio and abs in the afternoon. During filming, he often has to do his workouts at 4am. Has said he has gotten to where he can bench 335lbs. 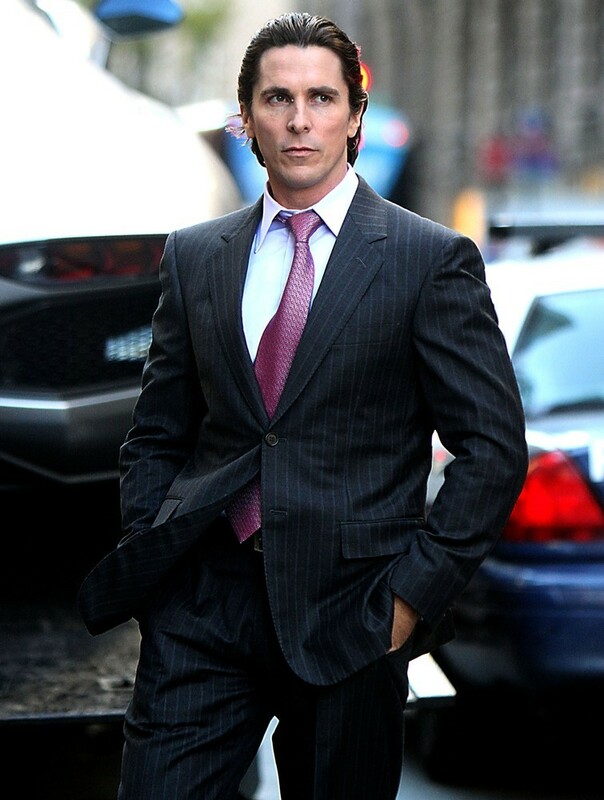 Recently filmed Batman vs. Superman movie as a follow-up to Man of Steel released in 2013. He prepared arduously for the role in which he not only had to looked chiseled but also had to be agile and athletic. Initially he performed workouts five to six days in a week while spending three to four hours in a day. Ben focused on full body workouts, which consisted of strength training, cardio workouts, martial training, bench press, squats, deadlifts, bicep curls, resistance training etc. After the shooting for the movie began, due to time constraint, he reduced his exercise time to two hours and performed his workouts three to four days in a week. Ex-wife Jennifer Garner said that in preparing for the role, he was training twice a day and had 17-inch biceps. From being featured in movies like Fight Club and Troy, Brad Pitt knows a thing or two about staying fit and obtaining lean muscle mass. Looking at Brad’s physique, it is obvious that he didn’t get that way eating burgers and fries. He stays away from dairy and fried foods, and processed foods like bleached white flour, soft drinks, pastries, and fruit juices. His training routine consists of focusing on a different muscle group each day of the week and finishing off the week with cardio on rest days. Cruise is known for doing a lot of his own stuntwork in his action films, which means he always has to maintain peak physical strength and endurance with functional muscle. In addition to following a strict diet and lifting weights several hours a day, Tom also does cardio daily. 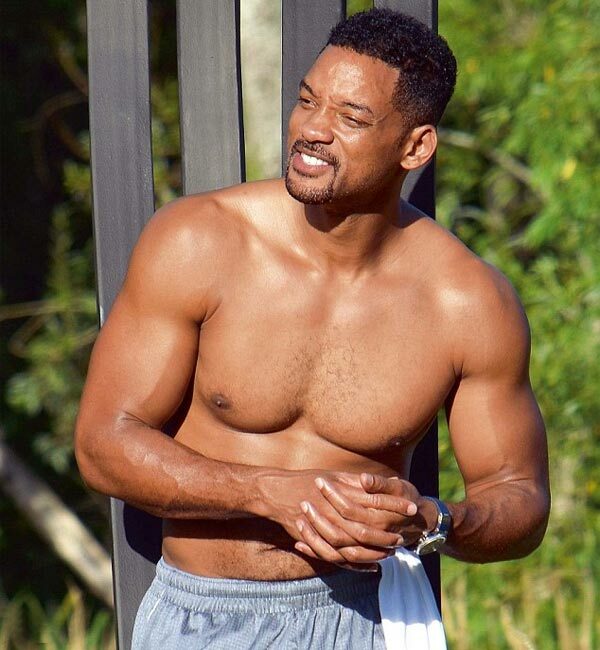 Will Smith has maintained his physique during his decades-long tenure in hollywood. His regime includes running 5 miles 6 days a week, and lifts weights on two body parts 5 days a week. Since training for his role in Ali as the iconic boxer, he still incorporates boxing training twice a week because he feels it is such a great workout. He aims to eat 6 to 8 high protein meals a day which he often supplements with protein shakes to save time. Although he is known for having a sweet tooth, he tries to limit his carbohydrate intake, but says he cheats once a week. Ryan Reynolds takes his shirt off in almost every movie he’s in, whether it’s a comedy, or an action hero adventure. He admits to living like an unhealthy “frat boy” in his youth, but credits his role in Blade: Trinity for changing his life, and his training. For the role, he trained six days a week, and ate a 3,200-calorie daily diet in order to gain 25 pounds of muscle. He enjoys fitness so much that he even pushed himself to train for and run the New York City marathon in a time of 3 hours, 50 minutes. Reynolds also sticks to healthy home-cooked meals such as 97% fat-free bison Bolognese with fresh ingredients over brown rice. Bradley Cooper is definitely Hollywood A-list and known for being in great shape. His top 5 fitness tips are: super-set exercises to failure, don’t cheat on your diet for at least 6 weeks while your body detox’s, drink protein shakes – but make sure they are quality, stay focused, and drink A LOT of water.